The Middletown Valley Historical Society was formed in 1976 to foster, promote, and preserve the rich history of the Middletown Valley. 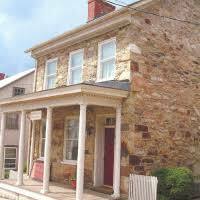 By generous bequests, the Society was able to obtain a Museum House (305 West Main Street), which is the only stone faced house in Middletown. The Museum house, built in the mid 1800's, is furnished with period furniture and has a small display room and a genealogical and historical library. The Property also includes a Summer Kitchen, Garden, Chicken House, and Carriage House. 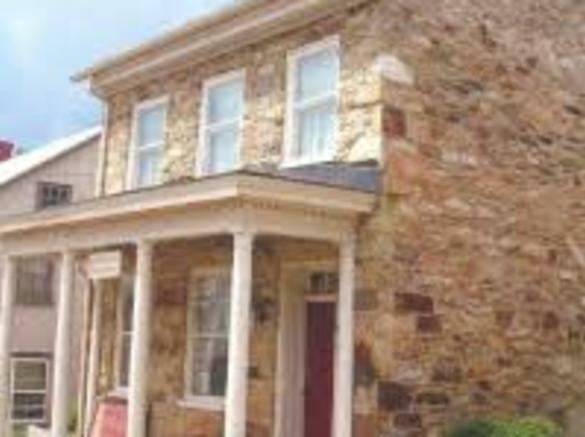 The Stone House is open the First Sunday of the Month, 1 pm – 5 pm, May through August, as well as during Bell and History Day, Middletown Heritage Day, and Museums by Candlelight.The Society promotes educational activities, primarily with monthly programs about the history of our surroundings. Annual dues are $25 for a family and $15 for individuals. Students are $10. Guests are welcome to attend our programs (free to the public) usually held at 7 pm, at Christ Reformed Church, 12 South Church Street, on the third Wednesday in October, November, February, April, and May. The Society is the owner of several historical artifacts. The most important is the original Ransom Note that demanded the Town of Middletown pay to preserve the Town from being burned by the Confederate Army, headed by General Jubal Early. This original Note will be on display on the 250th anniversary of the demand, in July of 2014.Another artifact owned by the Society is a hand written Civil War era Diary written by Allan Sparrow. The diary, which consists of more than 1000 pages in three hand-written volumes, contains Sparrow’s observations of the community, as well as his personal recollections of life in the Middletown Valley.